Thomas Sowell, one of the great intellectuals of the last 50 years, has retired at the age of 86. Whether this means that he won’t write at all, or that he just won’t write his weekly column, is unknown. My hope is that he will continue to write, but I wouldn’t fault him if he didn’t. A few years back, when he was probably no more than 8o, the great man expressed disillusionment about his legacy. Certainly, he knew he’d impacted the debate, while changing the minds of many liberals, myself included. But, he also knew the political game was rigged against meaningful change. The answer why, is simple; it’s always easier to sway people with a simple, self-serving argument, than it is to get people to actually think about complex issues. In that sense, the truth, in all its messy complexity, is a hard road to travel. By comparison, a good slogan or a cool meme is much more effective, enabling intellectually lazy people to engage in the process, generally to ill effect. Likewise, it isn’t powerful corporations that are a blight on the world, any more than mega banks are evil. Neither is it the illuminati or any other shady cartel of billionaires, which are the real problem. It will always be easier to say “The devil made me do it!” The devil being whatever group we don’t like. To really understand the issues and be accountable, by comparison, requires effort, because intellectual effort is anathema to a child’s worldview. In a democracy, the real problem is the vast numbers of willfully uninformed, politically inactive citizens, who enable relatively small groups of people to seize power. I think that was what gave Dr. Sowell pause. After a lifetime of fighting against disinformation and lies, he’d barely made a dent. In the greater scheme of things, maybe not even a scratch. Better to have stuck with his love of photography as a way making a living. In the end, it would’ve been far easier and better for his peace of mind. Thankfully, he didn’t. Thomas Sowell began his life as a socialist. As a Black man born in the early part of the 20th century, his initial choices were probably understandable. By 1959, though, before the civil rights movement had really gotten started, he graduated from Harvard with a degree in economics. This was long before affirmative action. Over the next 50 years he wrote book after book, changing the minds of ardent socialists, while laying the foundation for an intellectual revolution. Ignorance, however, is a deeply entrenched enemy. In spite of this, he never wavered. 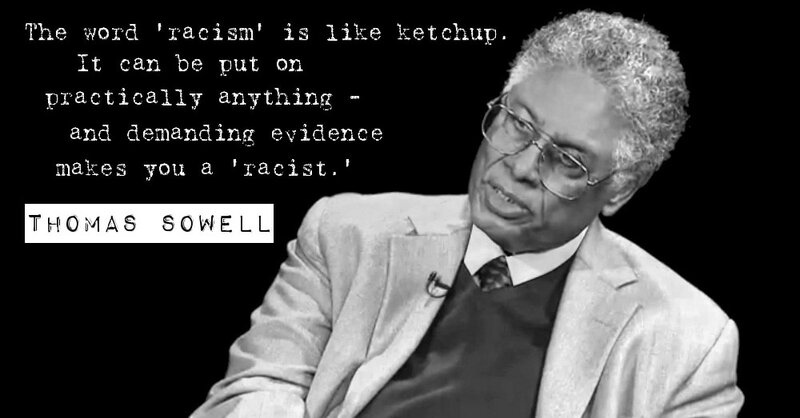 Thank God for Dr. Sowell. May he live forever and continue changing the world, long after he finally lays his burden down.